We are glad to share here an interesting blog from Mark Scantlebury, writer for the high tech industry. Glasses-free 3D, also known as auto-stereoscopic 3D, is a hot trend right now in digital signage. In a medium where compelling imagery is king, what better way to break out of the clutter than images that appear to leap off the screen and into the viewer’s environment? 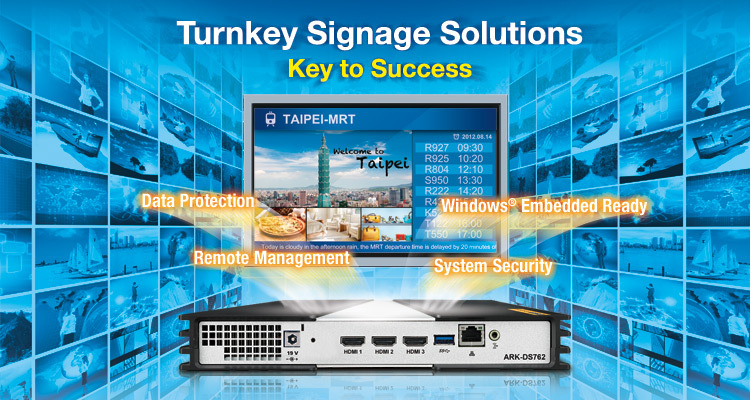 If a digital signage system designer is looking for a way to outdo the competition, this is truly it. Not only will 3D images get more attention, but 3D images will also earn more dwell time. It’s not unusual with glasses-free 3D for people to reach out and put their hands where they see the image coming out of the screen—a phenomenon that puts a whole new spin on the concept of a touch screen! It’s really easy to forget that while the installed base for digital signage is vast, and the technology almost boringly familiar for people working within the signage eco-system, for many others it is all very new and somewhat bewildering. It looks simple enough – put some software on a PC, connect it to a display and load some media files in a schedule. 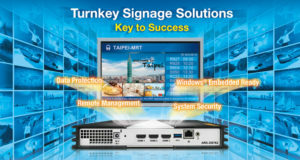 But there is so much more involved to do digital signage well. There is a constituency out there that fully believes the computing components of a digital signage network are just commodity items, and the cheapest, smallest units will eventually rule the day. But talk to the software and deployment companies that are supplying services to the largest networks out there, and you hear a very different story. They want performance and quality, and a reliable, predictable supply chain.